Novhorod-Siversky, nestled on the bank of the Desna River and on the territory of the picturesque Ukrainian Polesye, seems unremarkable at first sight. In reality, this calm town - one of the oldest in Ukraine - keeps numerous artifacts of Old Russian culture. That is why it is often called the open-air museum. The city was founded in 989, and soon it became the capital of the Siverian principality, a part of Kyivan Rus. It was a well-developed city - with a prince's court, churches, handicraft production, and shopping center. For many years, it played the role of a reliable outpost for the Old Russian state, and its defender from invasions. But in 1239 Mongols destroyed Novhorod-Siversky, as well as other cities of Kyivan Rus; it was in utter desertion for a long time. The revival of the city started only in 17th century, when it merged with the Muscovite State, and this resurgence continued in times of the Russian Empire. During this period, Novhorod-Siversky acquired many original landmarks, keeping the spirit of that era until today. But the most interest is aroused by distinctive monuments of history and architecture of early Rus. 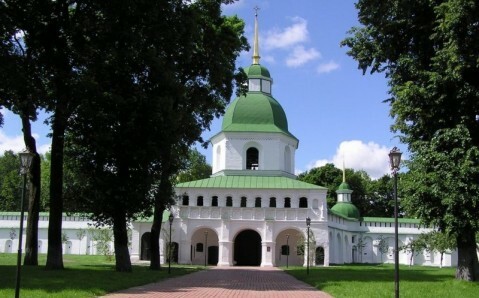 The most famous of them is Our Savior and Transfiguration Monastery, one of the oldest in Ukraine. Founded in the 11th century, it fulfilled an important defensive function, also doubling as the residence of Old Russian princes. 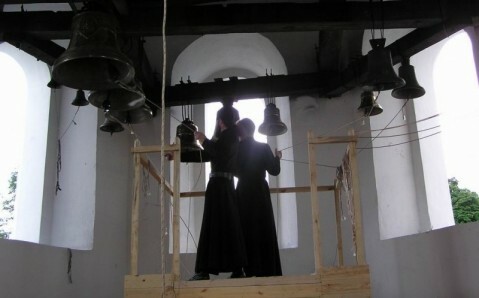 A hundred years later, on the territory of the monastery comple, a majestic Cathedral of Our Saviour appeared, which is still - even after renovations - the centerpiece of the monastery. This temple, besides its beauty, is also famous for being the place from where Igor Svyatoslavich led his unsuccessful campaign against Cumans in 1185. This event later became the main subject of the most celebrated of Rus’ epics - "The Tale of Igor's Campaign.” Today, on the base of a cloister, a namesake museum stands. Its impressive exposition occupies the former owner’s superior's house. The majority of buildings in the monastery complex were ruined during Mongols' and Tatars' invasions, but were rebuilt in the 17th – 18th centuries. Thick walls and towers appeared around the monastery once again. As legend has it, after the Second World War, somebody wanted to dismantle the towers to bricks for building of houses. Yet the walls were so strong that even an explosive could not destroy them! A bridge leading to the Holy Gates with a bell tower was also rebuilt. In addition to this, the Petropavlovskaya Church, the Church of Elijah the Prophet, and a seminary building were constructed. The Our Savior and Transfiguration Cloister is active even today. The towers, cloisters, and dungeons are open to the public, as are the temples. 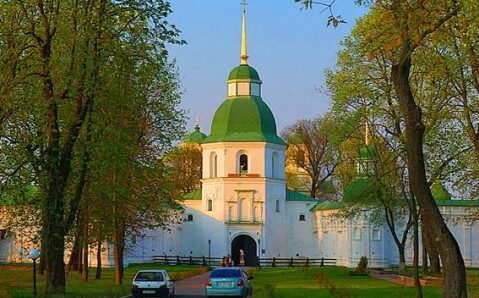 In the 17th century, the Uspensky Cathedral appeared. It is the main city church and is one of the oldest of the city’s religious building. Its beauty is magnificent, both the Ukrainian Baroque architecture of the building and the centuries-old icons inside. Another of the city’s treasures is the picture-perfect St. Nicolas Church. The wooden temple was built as far back as in 1086, but was destroyed 200 years later. Fortunately, in 1720, it was rebuilt and it has been fascinating visitors ever since. Another of Novhorod-Siversky’s points of interest is the Triumphal Arch, constructed in 1787, when the Russian Empress Catherine the Great visited the city. In short, the list of amazing places of this wondrous city is endless! You can read all about them, but to see Novhorod-Siversky’s treasures with your own eyes is an experience like no other. Visiting this town, you may begin to feel yourself drifting into the past. The spirit of antiquity is everywhere, and no modern building can destroy the harmony created by history. 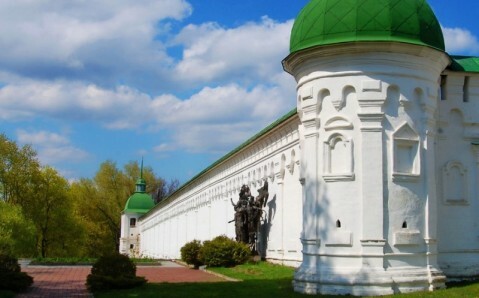 To be lost in the past and to appreciate a slice of history before their eyes – that is why thousands of tourists come to Novhorod-Siversky each year.